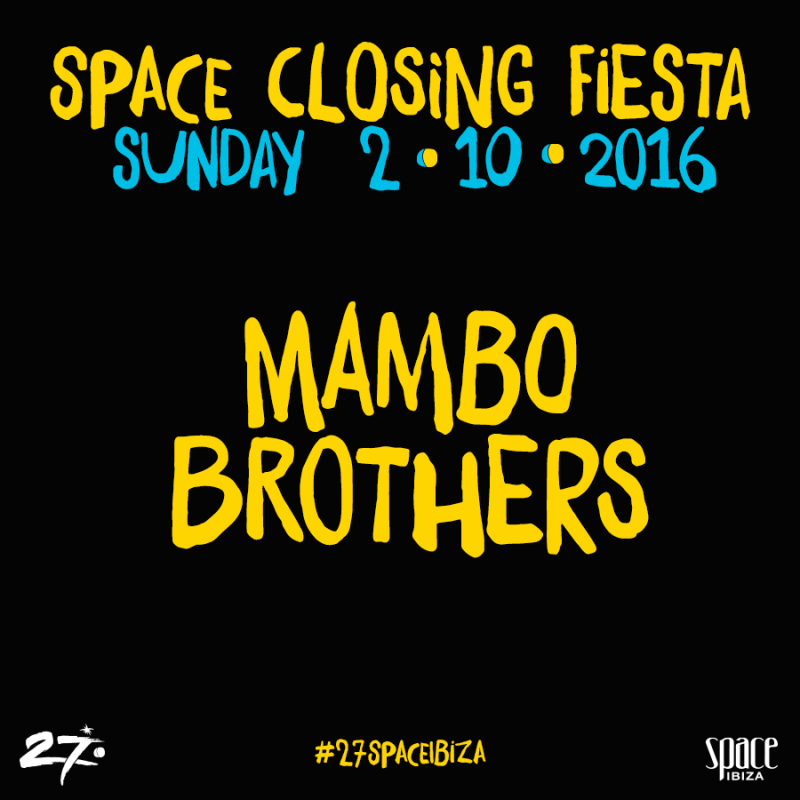 Mambo Brothers are now confirmed for what will be the most anticipated party in Ibiza club history... the last ever Space Closing Fiesta, taking place on Sunday 2nd October. The boys have enjoyed playing at the iconic club in recent years and it was there, on those very same dancefloors, that they were inspired to follow their passion for electronic music. As teenagers they were Space regulars, sometimes even skipping college classes to catch sets from their heroes of house music. They are both honoured and excited to be able to play at the legendary clubs final ever closing party, paying their own fitting tribute to the influence it has had on their careers and of course all the fantastic memories from over the years.